Take a self-guided tour of the Westside Wine Trail on Saturday, June 6th as the wineries invite you to celebrate the start of summer with them during their third annual ‘Sip into Summer’ event. During this event, which is part of the ‘Sip Series’ events that the wineries host each year, visitors will be able to travel from winery to winery where they can enjoy live entertainment, blind wine tasting challenges and sips of summer whites. The blind wine tasting challenge passport is new this year. For those who participate in the tasting challenge, there is a chance to win a Westside Wine Trail Prize Package consisting of a gift certificate to each winery! This is a fun event where participants are challenged to guess the varietal, alcohol level as well as the vineyard that the grape comes from. This event is the perfect time to not only meet the people behind the labels but to discover some new ones as well. Bubbles are making a debut on the wine trail with the release of a new sparkling wine from Beaumont Family Estate Winery, which will be available for visitors to sip on June 6th and ‘the hatch’, the newest winery to makes its home along the Westside Wine Trail, is sure to be an excellent place to discover a new favourite summer white. Other treats and surprises that visitors can enjoy during the event are decadent wine and chocolate pairings by Purdys Chocolates at Little Straw Vineyards and Rollingdale Winery along with tastings and entertainment at winery tasting rooms along the wine trail. This event and the tasting challenges are complementary and will take place from noon to 5 pm on June 6th. Individual wineries may also have specials and additional activities on site. 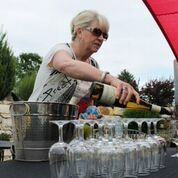 Wineries participating in the ‘Sip into Summer” event include Beaumont Family Estate Winery, Kalala Organic Estate Winery, Little Straw Vineyards, Mission Hill Family Estate, Mt. 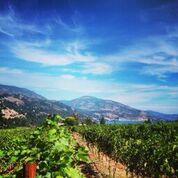 Boucherie Family Estate Winery, Quails’ Gate Estate Winery, Rollingdale Winery, the hatch and Volcanic Hills Estate Winery.